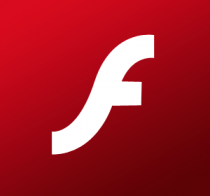 Adobe has announced a beta release of Flash Player 11. You can download it directly for Windows, Mac, and Linux. At the same time, the company has announced the availability of the Adobe AIR 3 beta. You can download it directly for Windows and Mac. Last month, Adobe killed AIR for Linux and announced it would focus on mobile instead. Captive Runtime for AIR – this popular feature from AIR for iOS will now be available on AIR for desktop. Simplify the app installation process, reduce testing and certification cost by encapsulating the AIR runtime in your Windows, Mac, andAndroid apps. Native 64-bit support for Flash Player – take advantage of new 64-bit operating systems and 64-bit Web browsers on Windows, Mac OS, Linux. Stage 3D graphics rendering – Stage 3D (codenamed Molehill) is a new method of 2D and 3D rendering and is supported with a new Stage3D API. The Stage3D API is a set of low-level GPU-accelerated APIs enabling advanced 2D and 3D capabilities across multiple screens and devices (desktop, mobile, and TV). These new low-level APIs will provide 2D and 3D engine developers the flexibility to leverage GPU hardware acceleration for significant performance gains. H.264/AVC SW Encode for camera encoding – higher compression efficiency and industry wide support for real-time communications and non-real-time broadcast scenarios, like webcasting, livecasting, etc. I honestly don't really care about 3D, but I do care about 64-bit support. It's nice to see that the 64-bit Flash preview Adobe offered back in September 2010 is finally being integrated into the main release. In related news, Adobe has also announced a new public bugbase system (Adobe Bugbase) where you can file bugs and feature requests for both Flash Player and AIR. The new bugbase is a public front end to Adobe's internal bugbase, which will improve tracking, communication, and responsiveness for issues and feature requests. The former bugbase (Adobe Bug and Issue Management System) will remain available as read-only. Adobe is in the process of transferring over all relevant issues and feature requests to the new system.